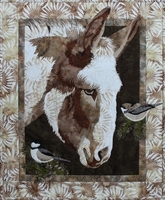 Home > Kits (Not Precut) > Lazy Days Kit 32" x 41"
Lazy Days Kit 32" x 41"
Baby Foal lying in the Daisies, Lazy Days Fusible Applique Art Quilt Kit by Toni Whitney. 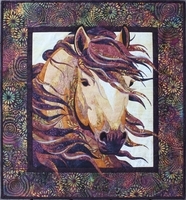 Toni Whitney Designs Summer Breeze Kit (includes pattern and fabric). This is NOT A PRE-CUT KIT. Who? What? Where? 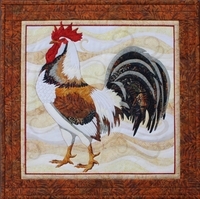 Kit 15 1/4" x 26 1/4"
Toni Whitney Design's Who? What? Where? Fusible Applique Raccoon Art Quilt Pattern and Fabric Kit. This item is NOT a pre-cut kit. ▪ Who? What? Where? Kit 15 1/4" x 26 1/4"
▪ Red Fox Kit 22" x 22 1/2"
▪ Endless Love Kit 34" x 39"
▪ Unbridled Kit 17" x 29 1/2"
▪ Sea Otter Kit 20 1/2" x 23 3/4"
▪ Great Blue Heron Kit 11 1/2" X 25 1/2"
▪ Hummingbird Kit 19 1/2" x 21"